Seven seats for you and your friends to hang out and learn the art of relaxation, each designed with contours to cradle your every curve. In the Biscayne you will feel worlds away in the comfort of your own backyard. Turn on the sound system and turn up the bubbles. 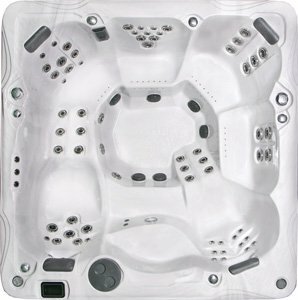 That's 115 spa jets soothing tense muscles and freeing the spirit for laughs and fun conversation. Designed to cradle all figures comfortably, the uniquely sloped lounge and four body hugging seats let you unwind in style. 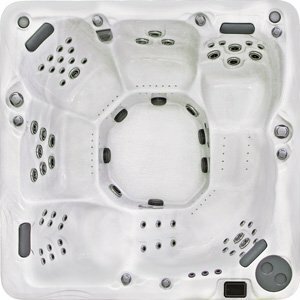 Lie back and relax, let the warm water surround your tense body, clear your mind and enjoy the solitude. 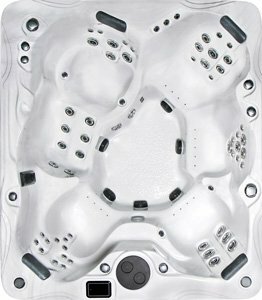 Few words properly convey the feelings of therapeutic bliss you'll experience once stepping into a PDC Spas Luxury Series hot tub for the first time. 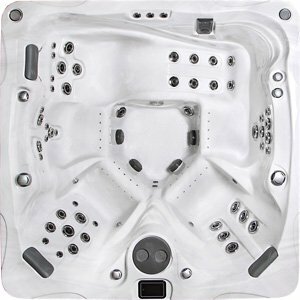 Whether you're seeking the space-saving yet luxurious convenience of our Malibu hot tub, or the pinnacle of total luxury inherent to our top-of-the-line Bali hot tub, each model in the Luxury Series is painstakingly developed to provide the ultimate hot tub spa experience. 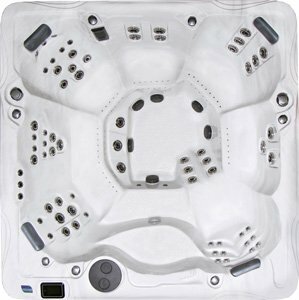 In addition to a standard 35 year structural warranty, each model in the Luxury Series incorporates innovative comfort and performance features that include TemperLok™ heat trapping, PowerFlo™ filtration, Air'assage hydrotherapy and many others.